Star Trek in gaming will have a special presence at the Star Trek: Mission New York convention on September 2-4. CBS Consumer Products and ReedPOP, the convention organizer, are bringing Star Trek: Bridge Crew to the show floor. The main attraction of the Gaming Zone, Bridge Crew is a virtual reality game developed by Ubisoft, which casts players as Starfleet officers on a virtual starship bridge where they can complete missions with friends. Other Star Trek games that will be available for convention-goers to play are Star Trek Online, the massive multiplayer online roleplaying game from Cryptic Studios, and Star Trek Timelines, the hit mobile game from Disruptor Beam. Game companies USAopoly, Gale Force Nine, and Mayfair Games will also have a presence at the convention. 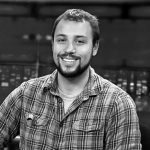 “The Gaming Zone at Star Trek: Mission New York will add a social and interactive aspect to the convention where fans can compete in classic games against or alongside fellow Star Trek lovers and gamers,” said Lance Fensterman, senior global vice president of ReedPOP in a press release. To learn more about the Star Trek: Mission New York convention, go here and be sure to follow TrekNews.net for the latest updates on the convention. ReedPOP, the world’s leading producer of pop culture events, are bringing a gamer’s dream to this year’s Star Trek: Mission New York with Star Trek™: Bridge Crew, an all-new virtual reality video game from Ubisoft®. Star Trek: Mission New York will take place September 2–4 at the Javits Center, the birthplace of the original Star Trek Convention. To help celebrate the 50th anniversary milestone of the franchise, Ubisoft will be headlining the new interactive Star Trek Gaming Zone on the show floor along with other top gaming exhibitors. Star Trek: Bridge Crew will take fans boldly where no one has gone before, right onto the bridge of a Starfleet ship where players will operate as a crew, assuming the positions of Captain, Helm, Tactical or Engineering while navigating space and working together to complete their objectives. 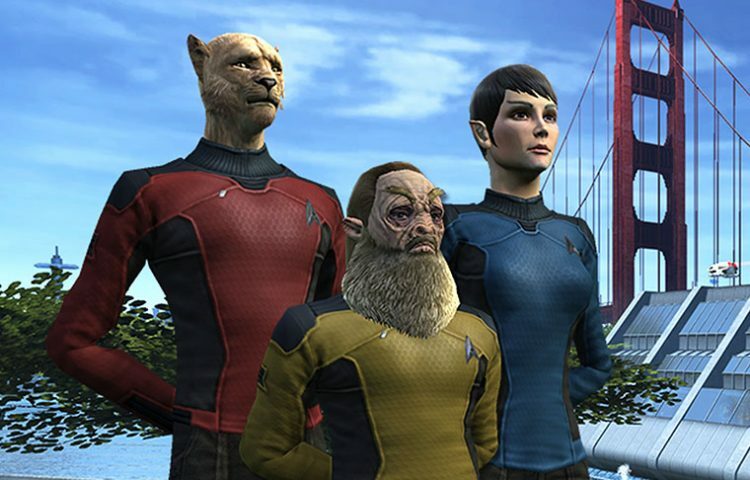 In Star Trek: Bridge Crew, developed by Red Storm Entertainment, a Ubisoft studio, the Federation dispatches crew members to command the new vessel U.S.S. Aegis as part of a critical initiative. The mission: explore a largely uncharted sector of space known as the Trench, in hopes of locating a suitable new home world for the decimated Vulcan populace. Star Trek: Bridge Crew is a truly immersive experience that puts the fate of the U.S.S. Aegis and its crew directly into players’ hands. The three-day event will be the ultimate destination for Star Trek fans, filled with interactive exhibits, exclusive merchandise, celebrity guests, panels, screenings and more. Its creation adds to a year filled with Star Trek events and experiences celebrating the franchise’s milestone 50th anniversary. Star Trek: Mission New York will take place September 2–4 at the Javits Center in Manhattan. Additional details about the event, including ticket sales, hotel information, guests and exhibitors will be revealed in the coming weeks. For more information, please visit startrekmissions.com and the Star Trek: Mission New York social media pages on Facebook, Twitter and Instagram.